No more wondering. And it shows you exactly where it is. Today, because of state-of-the-art medical science and technology, there is a new way to measure your body fat percentage that is easy, affordable and precise. The methods available in the past, using skinfold calipers or electrical impedance devices that you stand on or hold in your hands, were so unreliable that they were better thought of as estimates rather than measures, in my opinion. Underwater weighing was regarded as most reliable, but it was inconvenient, costly, and usually found only in hospitals and university laboratory settings. MRIs were perfectly accurate but cost thousands. Measuring your body circumference or volume was little more than guesswork. 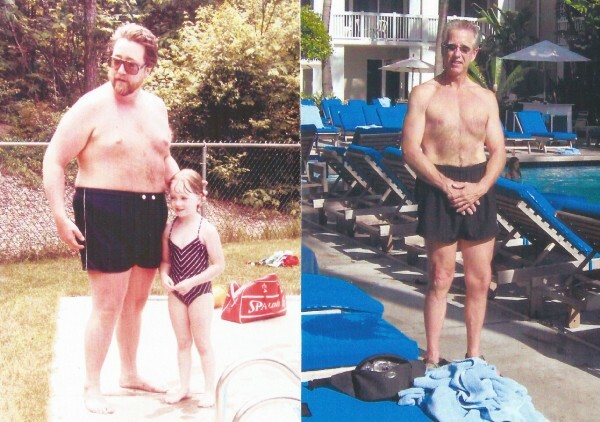 NBC.com had done a story about The Anderson Weight Loss Method after my article, Science Based Weight Loss, was published in Medium and Arianna Huffington’s Thrive Global. Those two media events produced intense interest in my work by the medical field as well as people who want to lose weight. Shortly after those stories came out, I was asked by DEXA SCAN, the company that offers this new technology, to try it and write a review. I took them up on their offer (a free scan, worth $150) and warned them that I made no promises about what I’d say. I told them up front I would pull no punches if I found their technology and operations, clinical and business, less than satisfactory. DEXA SCAN referred me to the LiveLeanRx clinic in Tampa and I was able to make an appointment for the following week. I checked first with my doctor to make sure this type of x-ray presented no risk. No problem. It uses a very weak type of wave — the amount of radiation is approximately equal to the natural radiation you would experience in a day outdoors. No need to be concerned like when you get a chest x-ray and need a lead shield. When I arrived, I found a clinical lab, staffed by licensed health professionals. The procedure itself took less than 10 minutes. You just lay on the table, no need to disrobe, and the scanner passes over you slowly and almost silently. The Radiologic Technologist, Faraz Mobayyen, was extremely helpful explaining how the DEXA SCAN worked, and it produced an incredibly detailed report. All I thought I’d get was one number, the percent of body fat. However, the report reveals incredible details of body composition, including bone density. This machine not only reveals the amount of fat and muscle in your body, but it identifies where it is, by body part. It tells you how much visceral fat you are carrying, which we now know is an important risk factor for heart disease and diabetes. It tells you how much muscle and fat you have in each arm and leg. The report had more information than I would have ever asked for. This is all extremely valuable information to anyone interested in their health status. As an added bonus, I got a bone density analysis that showed how I compared to the average, and where I fell in the range of possibilties. This kind of detailed information is so valuable in helping us to improve our health and reduce our personal risk factors, rather than depending on generalities. I was surprised to see that I had a curvature of the spine that in all my years had never been diagnosed! I have wondered what my body fat percentage is for over 30 years, since I lost my 140 excess pounds. I’ve had it “measured” many times with other methods that never gave me information I could trust. The electrical impedance devices varied greatly, from day to day, and I knew my body fat did not change by 5% from one day to the next! The caliper method gave different results every time we did it, different with every person who did the measuring. Which reading was I supposed to believe? I just could not trust those methods. Needless to say, I’m delighted I am finally able to know what my body fat percentage is. It’s scientifically accurate, precise. It’s information I can rely on, something I can trust. I give them an A+. While I was at LiveLeanRX, I learned they can also measure resting metabolic rate with laboratory-quality indirect calorimetry, and they can also do a VO2MAX cardio assessment test. That tells you the maximum amount of oxygen your body can utilize and send to your muscles during high intensity exercise, while running on a treadmill or riding a bike. This is the real deal with laboratory-caliber testing. I and my clients and readers would love to know our true metabolic rate even more than body composition. With these tests, we can. Maybe I should suggest they have me do those other tests. I’d be happy to tell you about them too.